We organize every kind of transfer from Milan Bergamo airport (BGY) by private shuttle and taxi to every destination such as Milan airports (Linate and Malpensa), Milan city centre, Como, Monza, Cernobbio, Mendrisio, Lugano, Varese, Novara and any other destinations at your choice. Van, minibus and bus transfers are available from Bergamo airport to the main ski resorts: Saint Moritz, Livigno, Sestriere, Arabba, Canazei, Ortisei, Cervinia, Champoluc, Cortina D’Ampezzo, Corvara, Courmayeur, Zermatt. Our modern fleet is composed by luxury cars, vans, minibuses, and buses for groups up to 52 people, and undergoes to severe and periodic maintenance in order to guarantee you with the highest safety. All out transfer fares from Bergamo airport are fixed and all inclusive. How to book a transfer from Bergamo airport? Booking a transfer from Bergamo airport with “Transfers Milan Airport” is very easy, fast and safe (www.transfersmilanairport.com), thanks to our Milan Instant Quote system. Choose your destination, enter the number of passengers and the arrival time of your flight, and the price of your transfer will be immediately displayed. Click on the ‘Book now’ button and you will display a safe page with a SSL certificate, in order to have all your information protected. Then fill in the form and click on ‘Book now’ and your transfer from Bergamo will be booked. You will receive our email with the driver phone number and the information about the meeting point. The thing that sets us apart from other companies is that we have our own vehicles and therefore we do not use any supplier. Thanks to this we are able to follow all stages of your Bergamo transfer from the booking to the trip. 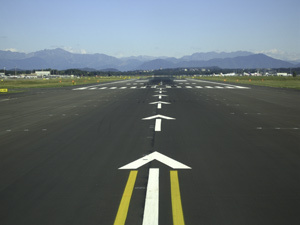 Book your transfer from Bergamo airport now, save time and money!